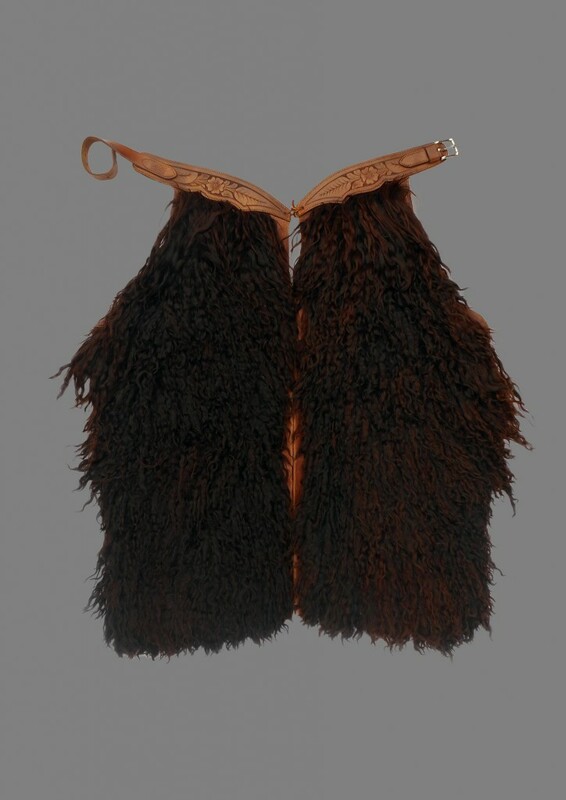 Fabulous sable colored batwing woolies made by Riley-Mc Cormick in 1920-1930. In wonderful condition! Made from Angora goat hide, backed with canvas, these are an excellent example of the harder-to-find batwings. 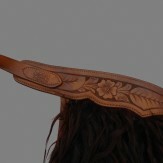 Most wooly chaps were shotgun (straight leg, step in) style. Riley-McCormick was a prestigious saddlery in Calgary, Alberta. 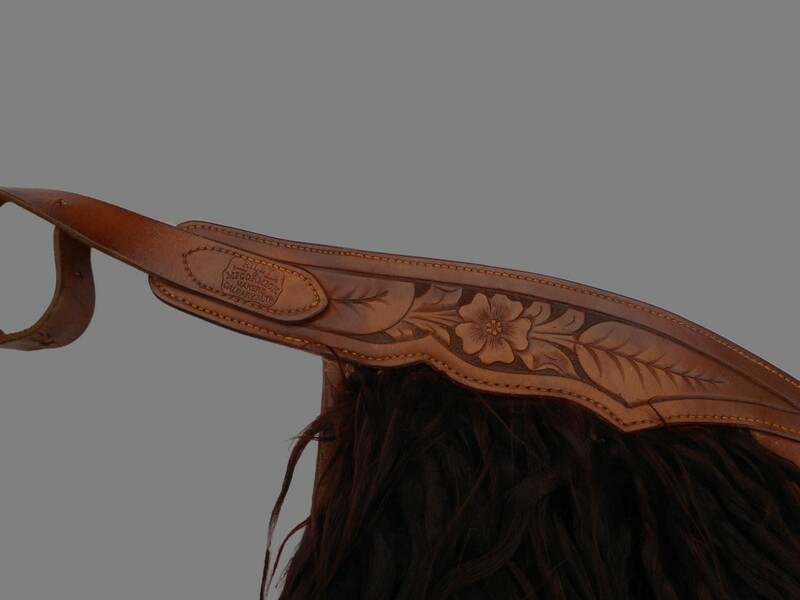 They outfitted cowboys for the Calgary Stampede, and when we find their work, it's always top-notch. 33" high x 35" wide at widest point.